The Original Witches Brew Candle to stir up some Witchy Magic. Made with a whimsical air, all of our Witches Brew products are very serious in their power. The recipes come from our personal spell casting experiences and are blended with good smells to create a candle chock full of witchy goodness. 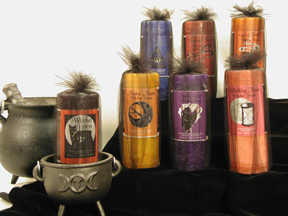 7 Different Witches Brew Candles to choose from!